Even Chanel, one of the last labels to give in and start selling online, now employs its own dedicated Insta team in Paris. And it makes sense if you think about it. In 2017, 90% of Instagram’s users were under age 35, a.k.a. Millennials, who are renowned for their “now, now, now” culture. Instagram provides the perfect platform for fashion brands to show off their latest lines and give savvy customers the chance to buy with a click. The visual nature of Instagram essentially makes it a digital catwalk and, especially thanks to a couple of new features, it has become the go-to place for mobile users to shop fresh styles from their favorite labels. Here, we’re talking about Story Swipe Ups, which send users directly to a sales page, as well as the ability to tag prices directly in Instagram posts. Above and beyond just being a glorified online marketplace, Instagram can help clothing brands create a community and build real connections with their followers. 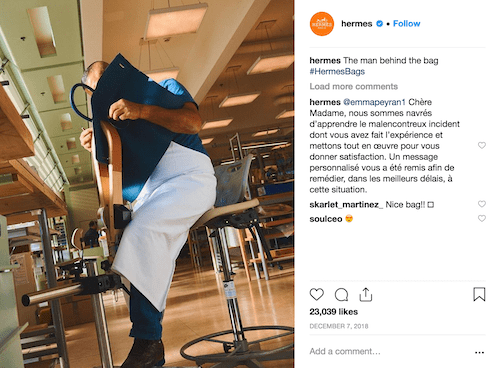 Let’s take a look at some of the innovative ways they and other clothing brands are using Instagram to drive sales and share their marketing messages. Future anthropologists will confirm that we are now well-and-truly in the Age of the Selfie, with more than 69% of adults claiming to upload selfies to social media (that number increases to 87% if we solely look at millennials). And people love nothing more than to share a photo of themselves in a cute outfit, which means clothing brands potentially have access to hundreds of pieces of user-generated content (UGC) that they can share with their audience and reward customers for self-identifying. But UGC isn’t just for celebrating consumer-driven pics, it also dramatically boosts conversions. In fact, UGC is 5x more likely to convert customers than non-UGC. Take Fashion Nova’s Instagram account, for example. Their feed includes a curated mix of pics originally uploaded by customers, who themselves become micro-influencers and are encouraged to create more free UGC — sounds like a win-win situation, right? 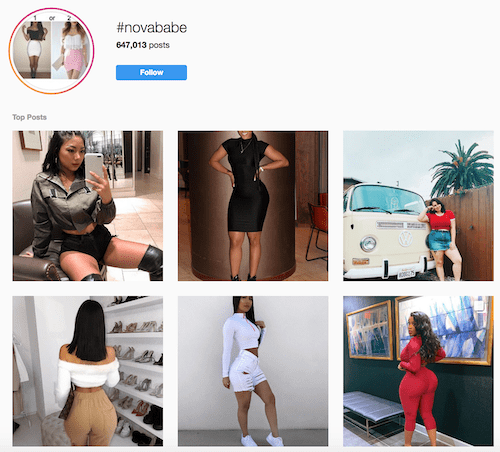 The hashtag #novababe is reserved for UGC (now boasting more than 630,000 tagged photos), from which the main Fashion Nova account reshares a ton (literally, like 20 photos a day). A step above content created by customers is the domain of Influencers. Brands bring these popular industry figures and trend-setters on board to share their latest product lines. This strategy gives the clothing brand access to an already-established and relevant audience, boosting their exposure in the fashion world. PuraVida Bracelets does this perfectly. They have a whopping 80,000 influencers (known as “PuraVida Reps”) who regularly carry out marketing campaigns in exchange for free bracelets. This costs the brand next-to-nothing compared to the returns. There’s nothing we love more than getting a glimpse into what goes on “backstage,” behind our favorite brand’s shiny veneer. Allowing your brand’s followers to learn more about who you are and what goes into your processes — the untold story behind creating new lines, making your clothes and any events you attend — deepens your fans’ connections, builds trust and nurtures a loyal community. 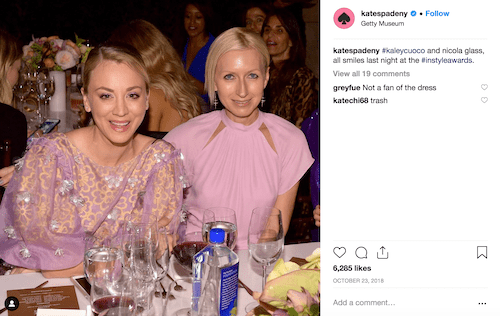 This is exactly what Kate Spade NY does with their Instagram account. In addition to styled pictures of their latest lines, they also share photos from awards, events, their stores and non-clothing-related happenings. Instagram is, like most social media platforms, a storytelling tool at heart. 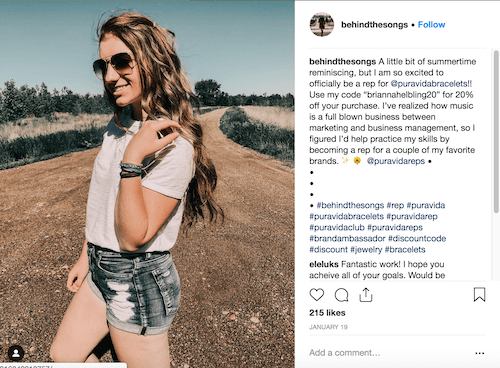 Brands that have the most success aren’t just posting random pictures here and there without an obvious connection; they carefully craft a narrative that exposes their brand personality and builds trust. Instead of just showing off your products, why not build up a story around them, and your brand, and share those images? Personality is what sets you apart from your competitors, so make use of it. Outdoor clothing brand Fjallraven does a good job at this. They still showcase their products, but in a way that ties in with their vibe. 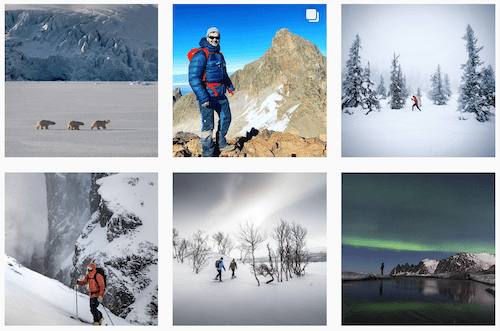 They share pictures of active people wearing their latest clothing items, but we also get inspiring snapshots of the great outdoors and landscapes that resonate with their audience. More and more clothing brands are following this lead. Even designer labels like Chanel and Hermes are becoming less and less product-driven, instead focusing more content on delivering an immersive experience for their followers. Instagram has released a flurry of new features over the past couple of years, including the hugely-popular Stories element that lets users share in-the-moment snapshots of their lives that disappear after 24 hours. But for clothing brands, the fun doesn’t stop there. Brands with over 10,000 followers can unlock the “Swipe Up” feature, which means users who are watching a Story can simply swipe the screen and be directed straight to a relevant sales page. This ties in with the “see it, want it, now” culture that we’ve got going on, and it means brands can tap into the instant gratification that today’s consumers crave. Monastyle has used the Swipe Up feature to let viewers head straight to their new arrivals page where they’ll (hopefully) make an impulse purchase. 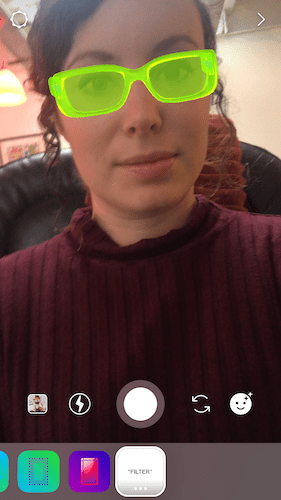 Stories (and Swipe Up) are great for announcing your new lines and releases, promoting sales or events, and boosting conversions straight from your Instagram profile. The Story Highlights feature now allows you to group together similar Stories, keep Stories around for longer than 24 hours, and create content blocks that let new followers get oriented. 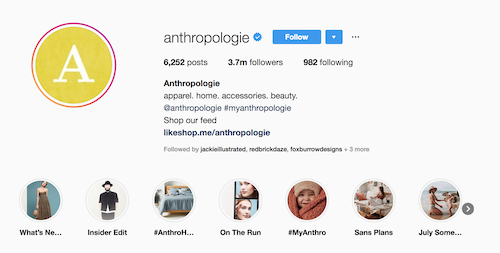 Anthropologie segments the different parts of their business with Story Highlights, including a Highlight reserved for new lines, one just for UGC, and another only showing behind-the-scenes content. 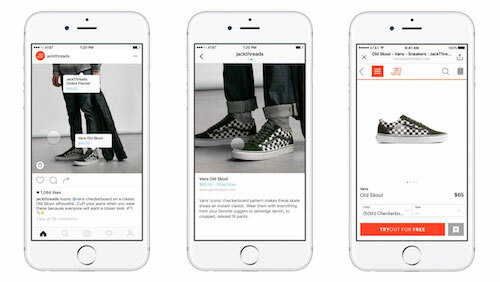 Instagram is becoming more shoppable than ever, thanks to the ability to tag products. You can tag as products appear in new posts or go back to old ones and add tags, and you can tag up to five products in a post with just one image or up to 20 in a multi-image post. This means people can get the low-down on your products from your Instagram feed and, if they like what they see, can click the tag and be taken to a separate landing page where they can buy that item. 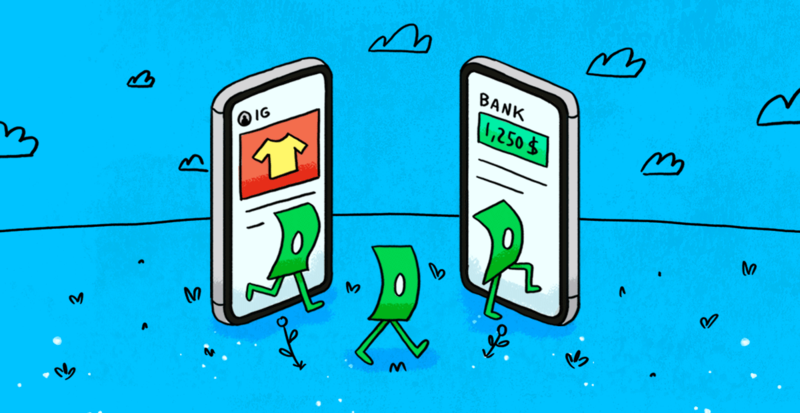 There are rumors that Instagram will soon be launching even more shopping features, including perhaps giving consumers the chance to add their card details and buy directly through the platform. Now, when you post an image, you’ll have the option to link up products from your catalog — easy peasy. 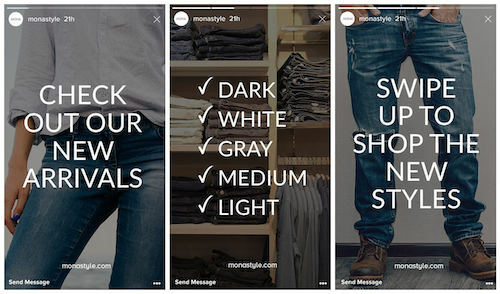 Jack Threads regularly tags their products in their Insta posts, which then takes consumers to a designated sales page where they can buy on the spot. When Instagram launched video posts in 2013, more than 5 million videos were uploaded in the first 24 hours — and the public’s love of moving images hasn’t slowed down since… well, since ever. In fact, the platform has seen an 80% year-on-year increase in the number of videos shared. If you’re not tapping into the power of video, you might be missing out. 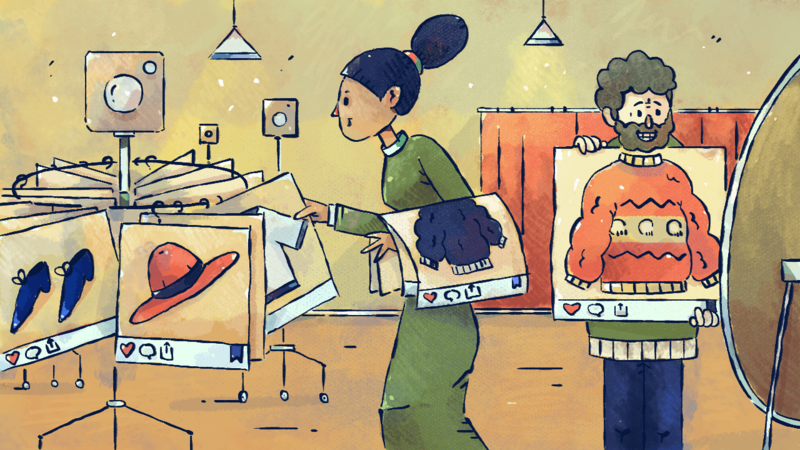 Many clothing brands that only share images do just fine (the visual appeal of fashion is already pretty good), but think about it this way: selling clothes benefits from showing movement. The color, style, and hang of an item of clothing, which is often a big part of the appeal of an outfit, can be seen so much better in a video than a still image. All new and action packed. Your sneak peek of the February collection has arrived. 💪 @gingerressler’s look + more available 2.01. Fabletics does a great job of showing users what their clothing looks like in action — which, let’s face it, is pretty handy when choosing activewear. 72% of users have bought a product they saw on Instagram, and this stat might be even higher for clothing, which happens to be one of the easiest things to sell on the platform. But just because people have bought something through Instagram, it doesn’t mean they’re going to buy from you the first time they come across your brand. It’s been shown that it takes around seven touchpoints for someone to invest money in a product from a new brand. If you’ve ever browsed a website and then later gone onto social media to find yourself bombarded with ads from the website you’ve just left, congratulations — you’ve been retargeted. Ads like this work particularly well for clothing brands because they remind users about specific products that they were on the fence about. To use targeting, you identify people who have visited your website without purchasing and send relevant ads to them via their Instagram or social feed. Simple (but a bit technical). Want to get started with this? Get in touch with our paid media team to discuss how you can reap the benefits of retargeting. Because it’s such a visual platform, Instagram gives brands the chance to get really creative. There are enough features and options that you can play around and come up with a strategy that is uniquely suited to you and your audience. Don’t forget to have fun with it! Take Off-White, one of the biggest new streetwear brands of the last decade, who have created their very own Instagram face filter that users can incorporate into their Stories. They definitely paid a team of programmers for that filter (there are much cheaper ways to promote your business) but its prominence in the Stories filter panel is doing great stuff for the Off-White brand — especially since users have to follow the account to activate the filter. Now that you’ve got our best marketing tips for today’s Insta-audience in your toolkit, get out there and make it work! Deciding which of these tactics to use depends entirely on who you are as a brand and what your audience is interested in. Use Instagram as the perfect showcase that it is for your latest lines (whether that be black Gothic wedding gowns or performance/racing swimsuits), and build up a community by engaging your followers… but also remember to get creative with your marketing. There are plenty of ways you can do that. Maybe you’ll start saving and segmenting your Stories in Highlights. Perhaps you’ll start incorporating video into your strategy, or you could go all-out and start designing your own branded dancing .gifs or filters. Whatever you choose to do, it’ll be fun and probably can’t really hurt — Instagram is one of the best platforms to sell clothing on, so feel free to try what feels right. Doing so is what got you this far! What are your favorite clothing brands on Instagram?